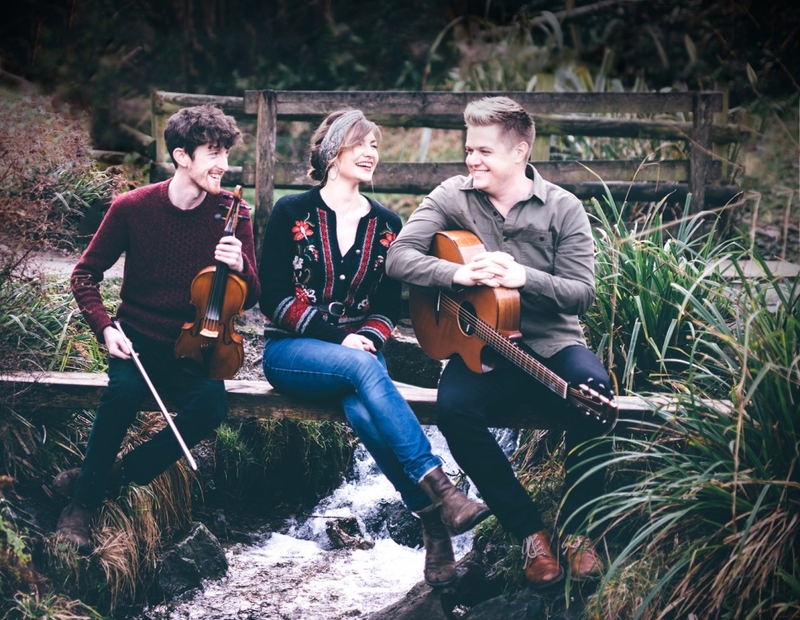 This new trio combines the acclaimed talents of folksinger Rosie Hodgson, traditional fiddler Rowan Piggott, and guitarist-flautist Philippe Barnes. Independently, they have earned audiences’ esteem as consummate musicians; together, they weave a tapestry of traditional & self-penned songs with a charm and familarity that is usually only found in seasoned line-ups. With a voice that brings “a ruby-richness to lyrics new and old” (Folk Radio UK), it’s no surprise that Rosie has been a finalist for the BBC Young Folk Award. After a successful EP and the eponymous album from Crossharbour, she recorded her debut album Rise Aurora to critical acclaim, producing what fRoots called “audible magic”. Rosie’s own songs are heavily influenced by the English tradition and her love of literature and the environment. Rowan featured heavily on Rise Aurora, himself a fine singer with a “deep understanding and feel for tradition” (FolkWords) and he is known for his fiddle- playing with Georgia Lewis and The Songhive Project, which he founded to raise awareness of the plight of the bees. The winner of the ‘Future of Young Folk Award’ at Bromyard Folk Festival, he recently featured on the cover of The Living Tradition after releasing his solo album Mountscribe. Philippe is well-known on the folk scene as a virtuosic flautist, but is an equally magnificent guitarist! Since completing an MA in Irish Music Performance at University of Limerick, Philippe has toured with the David Munnelly Band, All Jigged Out, Dizraeli and the Small Gods and Crossharbour (alongside Rosie!). As a session musician he appears regularly on film/tv soundtracks and has recently recorded an EP with pianist Tom Phelan.